I am dead impressed by this puzzle I discovered recently, called Futoshiki. It could be used after a lesson on inequalities to reinforce the meaning of the symbols, and also aid the development of logical thinking via problem solving. 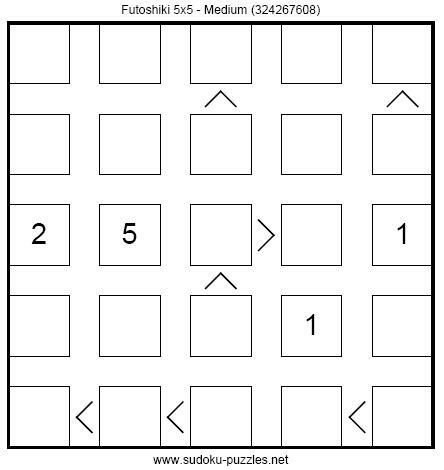 An example of a puzzle is below. http://futoshiki.justplayfreegames.com/ – play online and specify which level of difficulty you want. http://www.brainbashers.com/futoshiki.asp – a daily puzzle, specifying the level of difficulty you require. Interactive card game – learn to count the cards with this nice game from the BBC Skillwise website. 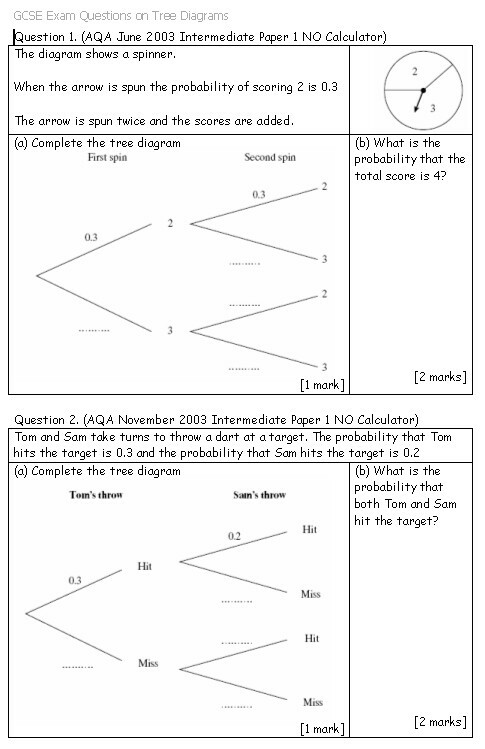 GCSE Exam Questions on Tree Diagrams – a worksheet containing 8 exam questions collated from past papers. A snapshot of the first page is below. Pupils are given space on the sheet to write in their answers. Make 24 using four numbers and the basic operations. Twenty four printable version – Printable version to make game cards or handouts with.